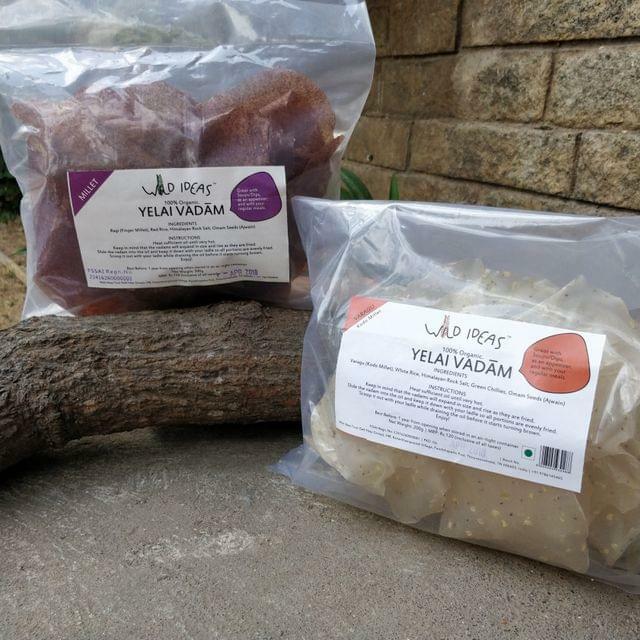 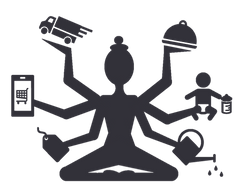 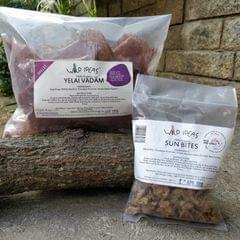 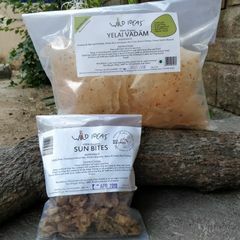 The package will have 1 Varagu (Kodo Millet) (200g) and 1 Ragi (Finger Millet) (200g) Yelai vadam. 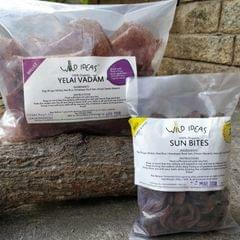 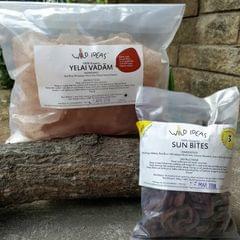 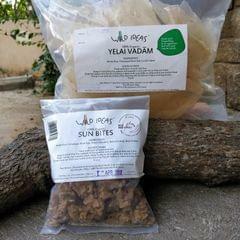 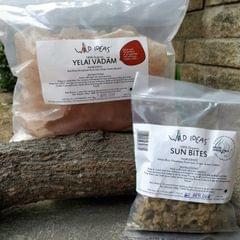 Steamed and sun-dried organic vadaams (paapads). 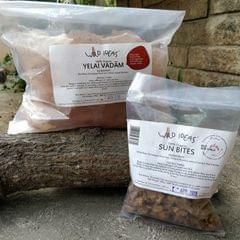 Great with soups/dips, as an appetizer, and with your regular meals. 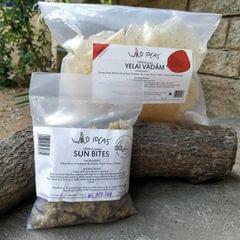 Heat sufficient oil until very hot. 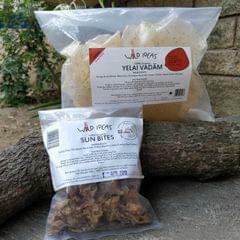 Keep in mind that the vadams will expand in size and rise as they are fried. 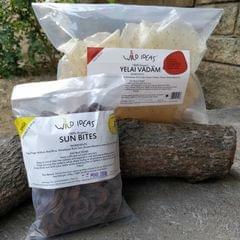 Slide the vadam into the oil and keep it down with your ladle so all portions are evenly fried. 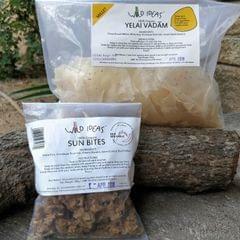 Scoop it out with your ladle while draining the oil before it starts turning brown. 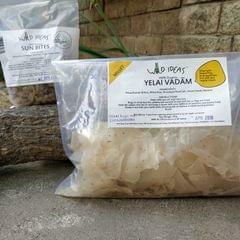 Best before 1 year from opening when stored in an air-tight container.